The U.S. Army Corps of Engineers has extended the date by which contractors must submit bids to complete a $150 million beach replenishment project along Ocean County’s northern barrier island. The deadline to submit proposals to complete the work were due back to the Army Corps by Oct. 26, however the deadline has been extended to Nov. 15, officials said. Chris Nelson, a Mantoloking borough council member, said his town was told the extension was granted because bidders wanted more time to gather information on the scope and specifications of the project, something which “happens all the time” in such large projects. After bids are received, it could take several weeks for the federal government to award a contract. 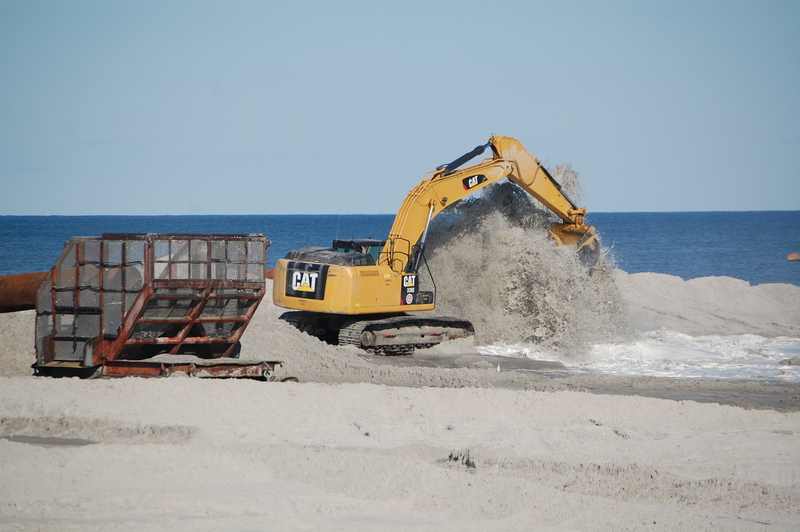 Depending on the availability of dredge equipment, work is expected to begin during the winter season – by spring – and last for 490 days, on a 24 hour, seven day per week basis, according to Stephen Rochette, spokesman for the U.S. Army Corps of Engineers Philadelphia District. Initially, said state Department of Environmental Protection Commissioner Bob Martin, the project will include southern Mantoloking, Brick, all portions of Toms River (including Ortley Beach), Seaside Heights and Seaside Park. Because of ongoing legal issues regarding challenges to easements and eminent domain claims, Point Pleasant Beach, Bay Head, the northern portion of Mantoloking and the South Seaside Park section of Berkeley Township are included as bid options that may be added to the project at a later date. The project, according to the Army Corps, will include the construction of 22 foot dunes and beaches between 100 and 300 feet long, and eight feet above sea level, depending on the location. The project also includes the planting of dune grass to vegetate the dune, accessible walkovers for beach access, fencing, stabilization mats and vehicle entrances.